A mild & gentle flavor. 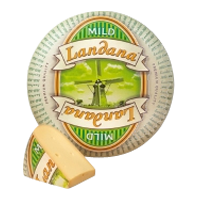 Fresh, creamy milk forms the basis of Landana MILD. With its mild, gentle flavor it is the ideal Gouda style cheese to add to bread, salads and cold dishes.